This description could easily be part of the description of a pastoral relationship. After all, coaching, pastoral, and in fact all relationships, are dependent on the deep trust we build. 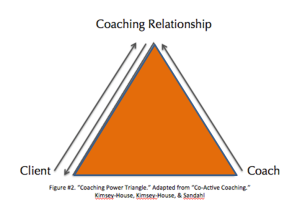 So then, what makes the relationship of a coach different? Part of this is how the relationship is initiated. As pastor, I am given a certain amount of trust and respect from parishioners because of subject matter knowledge. I have a Master’s of Divinity and ordination that testify to my knowledge. As a coach, I really don’t need to be familiar with the specifics of the work that the coachee is doing. Going back to the fact that they are believed to be creative, resourceful and whole, coachees have the ability to formulate the answers for them themselves. Again, this seems like the model I use most frequently in the role of pastor. One major difference in the relationship may be in the fact that in a coaching relationship, the coach must do everything to down play their power. In coaching the coach has must continually monitor that they aren’t using their power in the relationship. 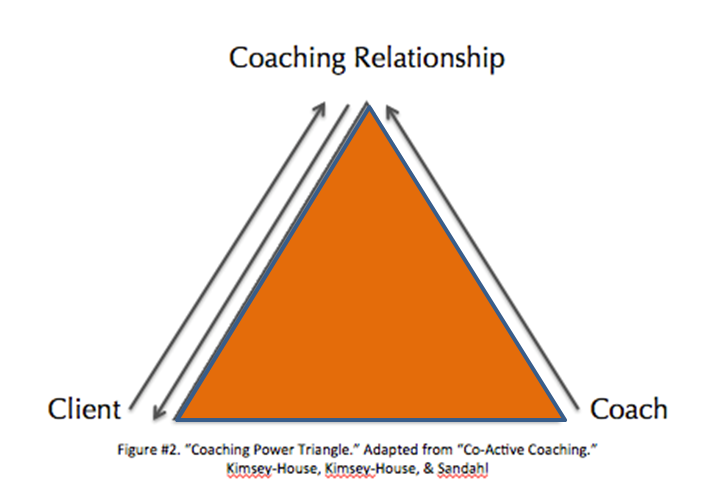 The relationship is the basis of power and the coach uses their power to build up the power of the relationship. While I try not to be a pastor who wields his authority the fact of the matter is that at times this is necessary and beneficial. I believe that this is one coaching practice that I already employ in my pastoral life, but I think that all pastor’s can do better. I think that another area of relationship that is different is that coaches are called to be more blunt in speaking the truth. This means that in a coaching relationship we must embrace the idea of “getting real.” The coaching relationship is a place of safety and trust where the coachee can tell the whole truth without worrying about what the coach will say. While I wish this was people’s perspective on pastoral relationships, I know that the church, and clergy in particular, are generally seen as judgmental. As a pastor who is helping people deal with their sinful nature, there is often a unintended, yet at times, unavoidable place of judgment. The other aspect of truth-telling that the pastor struggles with is that we are in a different relationship of power. Even though a coach can be fired it seems somehow different for the pastor. Pastors themselves are often hesitant to speak the truth due to the fact that they are worried for their own wellbeing. In other words if you make so-and-so mad, it will get around the church. As coaching is far more personal, this is less likely, and the coachee is much freer to go find another coach than a parishioner is to find another pastor or church. I think the final aspect of the coaching relationship that is the most clearly different is the openness and spaciousness of the relationship. This dynamic is shown in the fact that the coaching relationship is a place where experimentation, dreaming and strategizing without limitation is encouraged. It is also critical that as the Mythbusters say, “Failure is always an option.” Frankly speaking, pastor’s are all enmeshed in the success of the ministry and members of the congregations they serve. This means that at times the Pastor might stifle creativity because they are themselves fearful of failure. We also know that more than a few pastors have been fired because of too may failed ministries, regardless of their responsibility for them. The coach desires and champions success but does not have a personal stake in the success. This is one place where I hope I have had some success in being a pastor/coach. I have sought to be a congregational leader who encourages experimentation and a willingness to fail boldly. Overall, there are many places of congruence between the coach and pastoral relationships. I contend that many of the relationship dynamics of coaching can actually make the depth of pastoral relationships more meaningful and powerful. Are you willing to allow your pastor to challenge you to try something even with the risk of failure?